Special formula DD Cream that helps nourishes your skin and act as a sunscreen in one step. With a mixture of white peach from Korea, Glutathione, alpha Arbutin, and concentrated Vitamin B3, the cream helps revitalize and brighten the skin naturally. 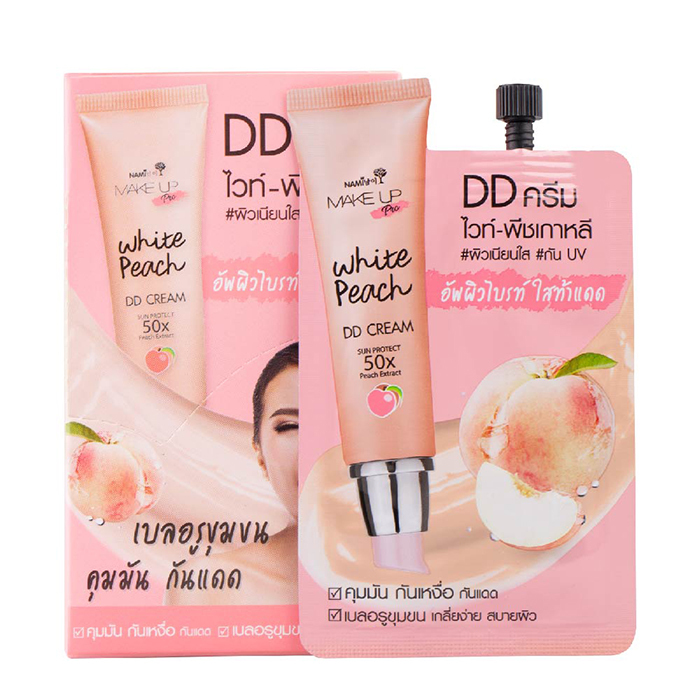 The peach fragrance cream will instantly change into mineral droplets when apply. Soft and light cream, easy to apply and leave no splotches. Conceal pores, leaving a smooth and even look. Instantly brightens your skin tone.